We are in for a treat! Karyn Pechinski and Mary Lee Bonfield have prepared a “Strawberry Event!” They will teach us all how to make a Strawberry Emery. They have other strawberries up their sleeve, so sign up for this fabulous opportunity! The kit fee is $5. We have 20 kits available. Members should bring their scissors. The kits will include all other necessary supplies to complete the strawberry along with some options to personalize. There will be bottled water and dessert. Can you guess what it will be? 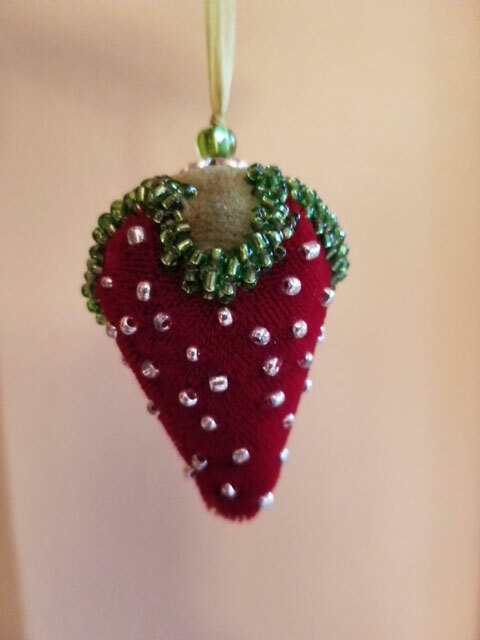 Be sure to bring strawberry ideas and patterns from your stash to share with the group. Show & Tell – Strawberries of course! ‹ Button, Button, Who has the Button?